I’ve written before about my love of body oils. So I was super excited to try Kesh Beauty’s Argan oils. I was already a fan of Argan oil, having used it on my hair, skin and even my face. Kesh ups the ante a bit by offering two (naturally) scented versions — rose and orange blossom, which combine the company’s cold pressed Argan oil with essential oils. Part of the appeal of using a body oil is that you can apply it right after you shower to seal in moisture. I also find that it gives me a glow. I tried the oil on my face and on typically dry spots like my elbows and knees. I also dabbed a bit on my collarbone to highlight it. I used mini samples of the oil (pictured above), so I don’t have a good sense of how Kesh’s spray bottles work, but I like the idea of having this in the form of a spray. Bonus: The bottles are TSA approved. Each 50ml bottle retails for $40, which is a bit steep in comparison to my go-to oils — FarmHouse Fresh’s Agave Oil ($16 for 110ml) and L’Occitane’s Almond Supple Skin Oil ($42 for 100ml). Granted, not all oils are created equally. So if Argan is your preference, I definitely recommend Kesh Beauty. This may be the best @popsugarmh #MustHaveBox I have received so far!!! Head over to the blog to see what I got and to find out how you can score one of your own. 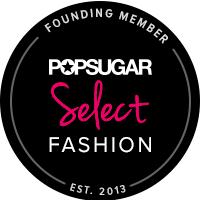 Link in bio 😊 #ontheblog #fbloggers #fblogger #bbloggers #bblogger #popsugar #sscollective #fashion #beauty #itsawinkyworld #baublebar #ad P.S., To get a POPSUGAR Must-Have Box of your own, go here: https://musthave.popsugar.com/t/monthly-subscriptions?&utm_medium=partner&utm_source=PSSelect_Dec&utm_campaign=Stylin%27&Profilin (and use promo code SHOP5 for $5 off on your first one). Get a daily dose of budget-friendly fashion and beauty tips.